Ho Chi Minh City in the south of Vietnam has been by far the most developed city compared to its capital Hanoi or some developing cities such as Hai Phong, Da Nang or Can Tho. The Citizens are fulfilled with many modern benefits and the quality of life has been being gradually improved. However, Ho Chi Minh City is not all about the modernization and industrialization. Here still remains some iconic structures and buildings that have been standing inside the heart of Saigon for centuries and become its own symbols. One among many, needless to say, is Saigon Opera House or also known as the Municipal Theatre Saigon. 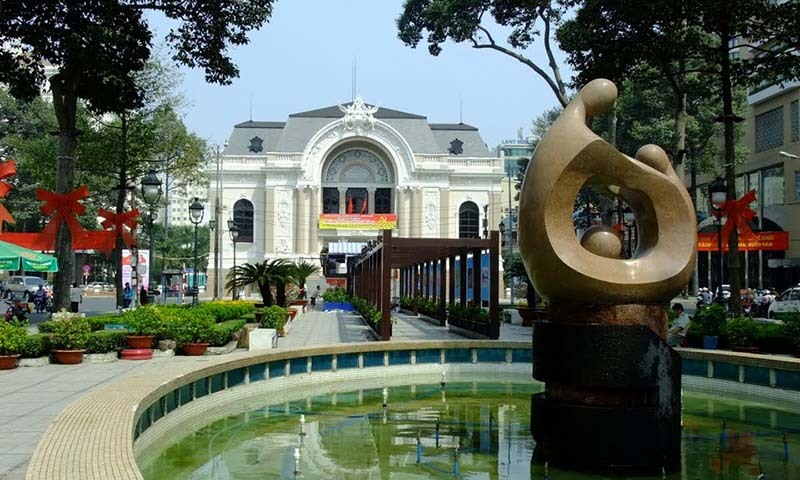 Saigon Opera House is located in Lam Son Square at the beginning of Le Loi Street, a popular shopping street that runs from the park across the road through to Ben Thanh market. Standing magnificently at the heart of Ho Chi Minh City where it crosses out many important routes, the building is outstanding as one the impressive sight in Saigon both night and day. You won’t be absolutely worried about the way to reach it since the surrounding area could be in one of Europe’s luxurious cities were it not for the usual crazy traffic jams. 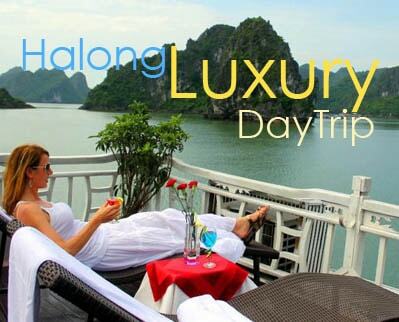 It is adjacent to the classical Continental Hotel, which is convenient for you to take a night rest and continue to discover Saigon the following morning. 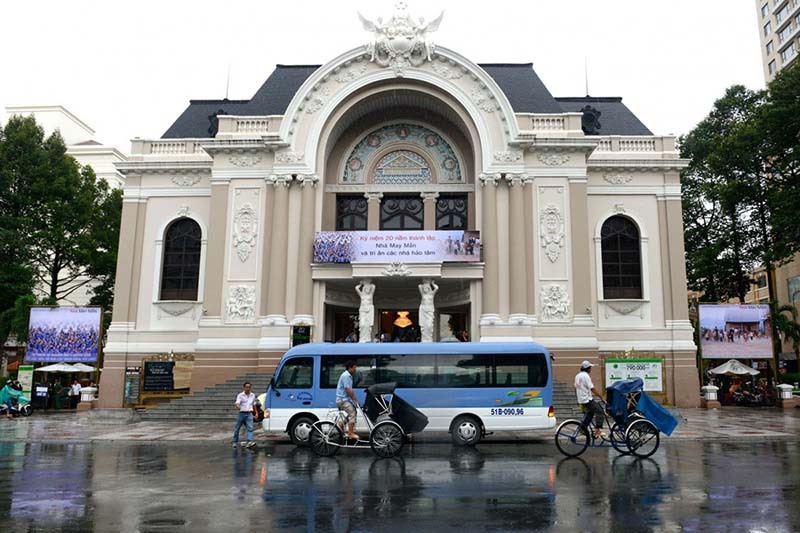 Moreover, Saigon Opera House is also close to other architectural beauties including the new Union Square shopping plaza, the Rex Hotel, Vincom shopping center, Saigon City Hall, Saigon Notre-Dame Basilica and Saigon Central Post Office. It’s such an amazing destination, isn’t it? Saigon Opera House, or the Municipal Theatre, was originally built to entertain Saigon’s burgeoning middle class in French Colonial times. It can be called a smaller counterpart of the Hanoi Opera House, which was built between 1901 and 1911, and shaped like the Opera Garnier in Paris with 800 seats. This gorgeous structure owes its specific characteristics to the work of famous architect Félix Olivier while construction was under the supervision of two architects whose name are Ernest Guichard and Eugène Ferret in 1900. Following the “flamboyant” style of the French Third Republic, the theatre was set to be two meters higher than the street surface with two door layers in order to prevent from the traffic noise. From the inscriptions to the furnishings, they were all dawn by a French artist and the applied ornaments, balustrades, cartouches and roof were all imported from France. 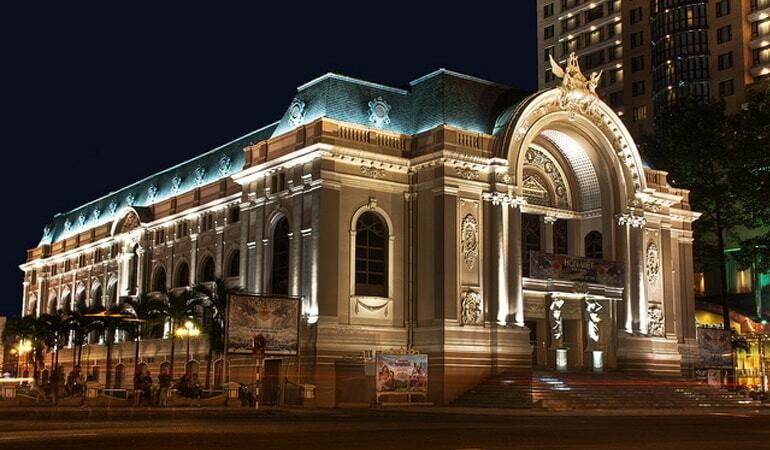 Nowadays, Saigon Opera House is a venue for many high profile events and cultural entertainment activities of the city. Just some words cannot express the gigantic view of this Municipal Theatre. 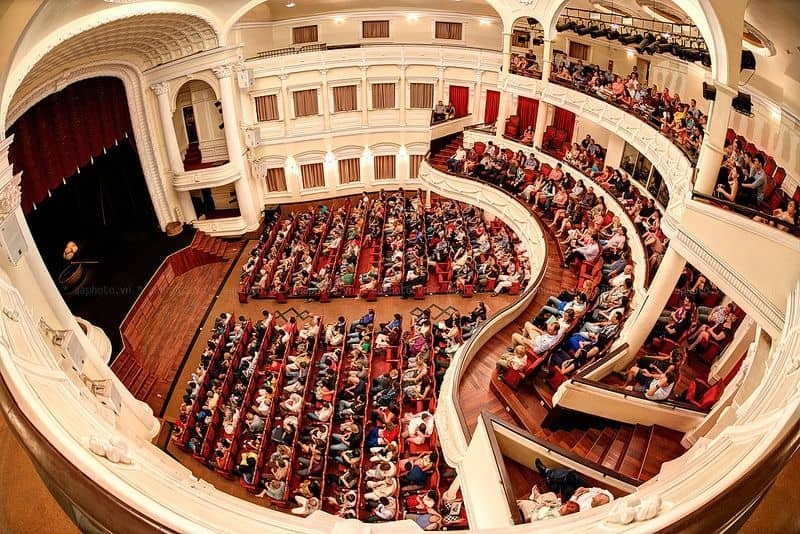 That’s why it is on top of the must-visit destination of Ho Chi Minh City that we highly recommend you to have a walk to it and you won’t regret having discovering Saigon Opera House, the magnificent iconic structure standing in the heart of Saigon. 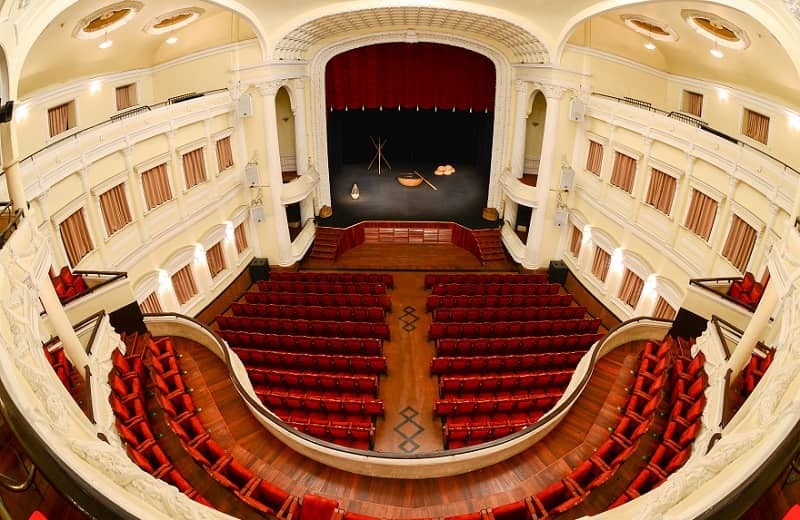 Not so exciting and crowded like Ben Thanh Market, not so tranquil like Saigon Notre-Dame Basilica, Saigon Opera House will bring you a different feeling, a combination of something antique but also modern and elegant.